New year, new ideas! With a fresh, clean design canvas to fill, we’ve decided to compile a list of the latest furniture and decor design trends making its rounds on designers’ lists. Themes this year revolve around a nostalgia for the past and a hope for a more sustainable future. Needless to say, we’re very much looking forward to this year’s design prospects, and hope that you’ll be as inspired as we are! With the advent of Downton Abbey’s Season 3, a renewed enthusiasm for vintage and antique style furnishings has also hit this side of the Atlantic with feverish storm. Whether or not you’re a fan of the show, traditional and classic luxury furniture have never truly gone out of style. From distressed or aged finishes to elegant carvings, from a well-worn aesthetic to a classic Old World charm, there’s so much to love in furniture designs from eras past, which is why they’ve appealed to us time and again. 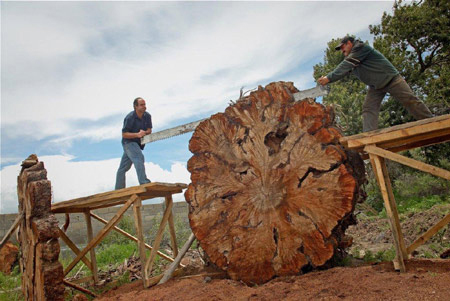 Green and sustainable furniture has also garnered much attention of late, and with the global climate issues looming heavier by the day, it’s no wonder many are concerned that their purchases will be sustainable and earth-loving. Consumers wish to ensure that their furniture will not need to be replaced within only a few years’ time, which means high quality materials and craftsmanship play a more substantial role in the furniture and design industry. Solid wood, stones, among other natural materials are also gaining momentum in design trends this year, as people are increasingly inspired by nature’s pure beauty. Nature reminds us of beauty in simplicity. It also reminds us of our need to nurture and maintain a healthy environment, so that we in turn continue to reap many of nature’s inherent benefits. 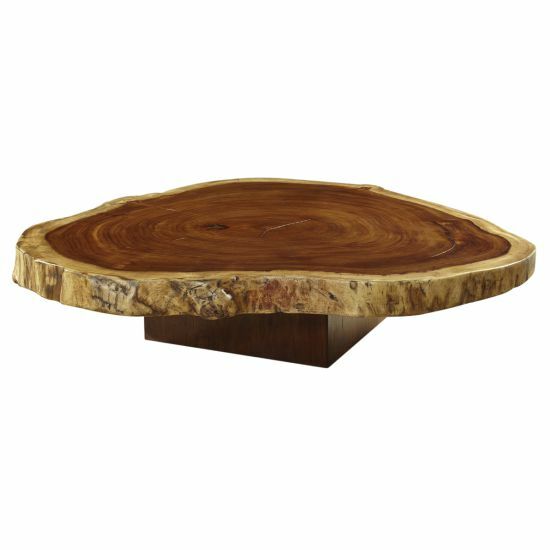 A piece cut from reclaimed or reforested wood such as the Rebanada Coffee Table by Taracea below, will not only inspire awe with its raw beauty, but one can also appreciate the original tree’s essence, which is purposefully retained in the final design. In a world where mass manufacturing reigns, the uniqueness of handcrafted furniture shines like a beacon. One can easily distinguish the sense of dedication put into what is essentially a one-of-a-kind piece, as each item was crafted individually, and the varying factors bring a distinctive character into the piece as a whole. The inclination for bright colors in last year’s design movements have now taken a backseat for more neutral tones this year. Complementing the design trend of natural materials, there’s a renewed interest for colors that lend a calming and soothing effect. Shades of sand and stone create a neutral palette that can be easily complimented with other neutral shades, or effectively contrasted with accent colors. The above are just but a handful of 2013 design trends that have piqued our interest thus far, and there’s sure to be more to come. Stay tuned for more updates, as we follow current design and furniture trends this year!